This entry was posted on March 26, 2015 by Texas Safety Supply. If you are responsible for workers in construction, warehousing, and industrial environments, you know that it's essential to balance the industrial safety supply needs of your workers with the safety regulations of groups like the Occupational Safety & Health Administration (OSHA). Texas Safety Supply helps companies operating in Dallas and throughout Texas abide by the workplace safety rules of the Texas Department of Insurance, as well as companies across the nation who put their employees first when it comes to reducing danger to employees through high-quality safety supply products. Preventing injuries and providing a safe work environment means recognizing potential hazards and understanding which products are necessary for any given environment. Virtually every part of the human body is vulnerable to the elements in certain environments, and locations like industrial warehouses must ensure employees use the right safety supplies. If you're a veteran of a hazardous work environment, you're probably familiar with the rules and regulations that guide various workplaces like construction sites and industrial grounds, but it's important to create a written list of necessary construction safety supplies. 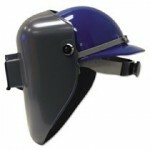 A list of required safety gear also helps employers remain compliant with OSHA. A list of necessary construction safety products required by OSHA is available through the department's official list of Construction Personal Protective Equipment, which offers a list of equipment for different parts of the body. 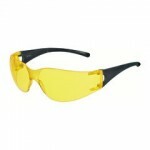 For example, construction safety gear for eye and face protection include safety glasses and face shields that must be worn whenever an employee conducts work where foreign objects may get into the eyes. Some of the activities that may require eye protection include welding, cutting, and grinding. Further guidelines suggest workers should wear gloves that are appropriate for their particular activity and that those work gloves should fit snugly. For example, it's important that workers wear heavy-duty rubber gloves when working with concrete or welding gloves when engaged in welding. As they do with construction safety, OSHA also provides extensive guidelines for keeping employees safe when they work in warehouses. Warehouse safety supplies are extraordinarily important since The U.S. Department of Labor suggests that fatal injuries in warehouses are higher than the national average for all industries. The government suggests that warehouse managers and those in charge of employees who work in warehouses should read Publication 3151 - "Personal Protective Equipment," which offers details on warehouse safety products that should be used for the protection of the body. There are many essential rules to follow regarding the safe use of equipment in a warehouse, but observing safety protocols is not as effective when warehouse safety gear isn't also used. Managers should meet with employees regularly to ensure compliance with company safety gear rules. Identifying necessary personal protective equipment is essential in the industrial workplace to reduce unintentional exposure to chemicals, as well as dangerous electrical equipment, and radiological hazards. Industrial safety supplies may include respiratory protection and hard hats, as well as foot protection and hearing protection. Additionally, a hazardous workplace may also require industrial safety products that aren't necessarily worn like safety cabinets, first aid supplies, and spill control. Texas Safety Supply's local delivery sites across the country ensure your company can get industrial safety gear without delay. Protect your crew with a comprehensive plan that lists necessary safety gear for your workers and enjoy same-day delivery of safety supplies from Texas Safety Supply. Your employees are the most important part of your operation, and they deserve a safe working environment.